Seventeen years after he burst onto the scene with the talky, violent crime flick Reservoir Dogs, the films of Quentin Tarantino continue to generate intense debate, even in theological circles. Just the other day, I heard a prominent Christian professor assert that the hit men played by John Travolta and Samuel L. Jackson in Pulp Fiction make evil look attractive, and that those two characters remain “sociopaths” right to the end of the movie. Many other Christians, however, have argued that Fiction does reflect a moral sensibility of some sort: the Jackson character abandons his criminal ways in the end, after he experiences something he believes to have been a “miracle,” while the Travolta character, who remains a criminal, is eventually killed with his own gun. 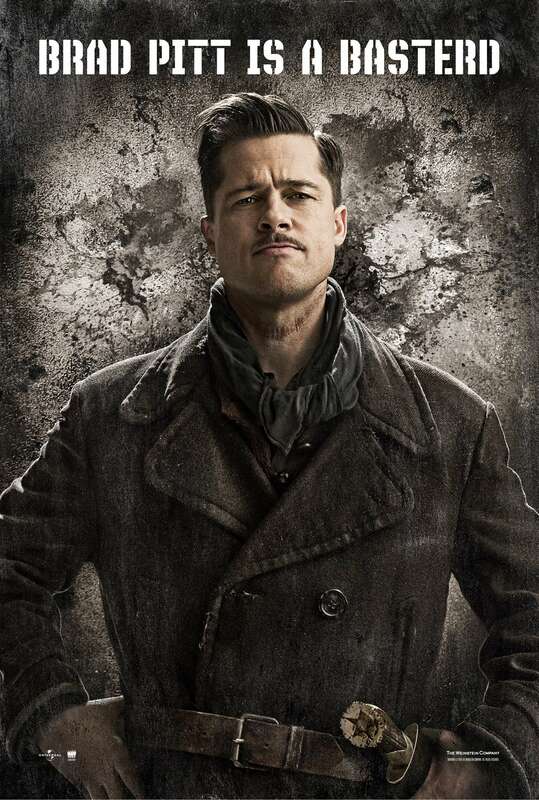 The debate has intensified around Tarantino’s newest film, Inglorious Bastards, which tells a sort of fantasy version of World War II, in which a group of Jewish-American soldiers parachute into Nazi-occupied France with the deliberate aim of being “cruel to the German,” while a secretly Jewish theatre owner in Paris plots revenge against the Nazis who are planning to use her venue to premiere their latest propaganda flick. There’s no question that Tarantino enjoys pushing buttons, from the brief but vivid flashes of violence to the fact that the Jewish soldiers seem to be mimicking the tactics of the Nazis: such as, while some Nazis carved Stars of David into the foreheads of their Jewish victims, the “basterds” carve swastikas into the foreheads of the few German soldiers that they don’t kill. Even more shockingly, perhaps, the “basterds” at one point employ a tactic that we are used to associating with a more recent brand of anti-Semite: namely, they become suicide bombers, infiltrating a crowded public venue while packing explosives under their clothes. Is this a form of payback, returning an eye for an eye? Or is it, in some strange subversive way, a way of tweaking or subverting the audience’s thirst for vengeance? Could this possibly be Tarantino’s way of commenting on the cycle of violence – not as an angst-ridden moralist wagging his finger, but as a fiendish jester who takes the cycle to its logical extreme? Consider that one key sequence is set to a David Bowie song about “putting out fire with gasoline” – a recipe for making problems worse, not better. Consider also that the film shows Nazis, the bad guys, lapping up a violent propaganda film in the same way that some people have accused Tarantino’s audiences of lapping up the violence in his films. And consider also that revenge, in this film, entails not only the suicide of several individuals, but also a form of cultural suicide: to kill the Nazis in her theatre, the Jewish theatre owner decides to burn the place down, using the nitrate on her many reels of film as fuel. Would a passionate movie lover like Tarantino really applaud the destruction of so many movies? To make things even more complicated, there is also the fact that the violence depicted here isn’t all that different from the sort of violence committed by some of the biblical heroes. For example, when Brad Pitt’s character declares that every man under his command owes him 100 Nazi scalps (and yes, Tarantino does show the “basterds” scalping a few dead Germans in tight close-up), it is reminiscent of how King Saul told David to bring him 100 Philistine foreskins as a dowry for his daughter – and how David went above and beyond the call of duty by killing 200 Philistines instead (I Samuel 18:20-29). Other scenes bring to mind David’s mass execution of the defeated Moabites (II Samuel 8:2), the revenge taken by the Jews of Esther’s day against their genocidal enemies (Esther 8:11-9:17) – and especially that moment when Samson literally ‘brought the house down’ and killed thousands of Philistines who had gathered to mock him (Judges 16:23-30). Stories like these are often told in Sunday schools with a triumphant, even humorous, touch; so why should Tarantino’s film be any different? Finally, some have accused the film of playing too fast and loose with history. But is it really any more bogus than Braveheart or Gladiator or The Patriot or any other revenge flick set in the past? The difference here is that no one is going to take Tarantino’s reinvention of history all that seriously, precisely because he hasn’t pretended it was serious in the first place. I don’t want to praise this film, exactly. It’s not paced very well, it is sometimes too derivative of Tarantino’s previous films (to say nothing of other people’s films), and Brad Pitt in particular feels jarringly out of place, like he belongs to a whole different movie. But it raises a host of fascinating questions – even if Tarantino seems unable or even uninterested in answering them – about the nature of justice and vengeance, and how these things are understood in both the Jewish and Christian traditions. The Vancouver International Film Festival will be running October 1 – 16. Check my blog for updates over the next few weeks.